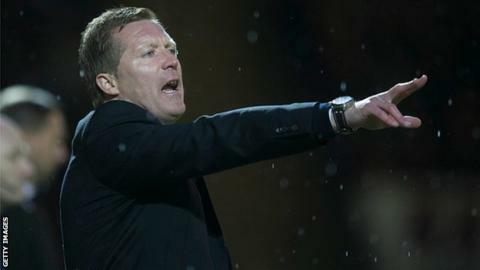 Gary Locke has resigned as manager of Scottish Premiership side Kilmarnock and will be replaced on an interim basis by Lee McCulloch. Locke stood down after the 1-0 home defeat by Hamilton at Rugby Park. The result leaves Kilmarnock second-bottom, having played more games than the three teams around them. Locke, 40, was put in temporary charge in February 2015 and was made permanent manager in April. He won 11 of his 43 games in charge. Kilmarnock said in a statement:"The Board of Directors would like to thank Gary for his time with the club and wish him every success in the future." Former Scotland international McCulloch joined Kilmarnock as a player-coach in July. He has only played on one occasion, starting the 4-0 home defeat by Ross County on 22 August. It is his first managerial appointment and he is to be assisted by Peter Leven and Alan Robertson. Kilmarnock play Rangers in a Scottish Cup fifth-round tie at Ibrox on 6 February.